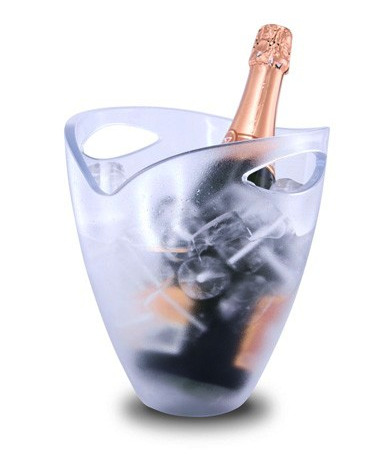 Made of acrylic plastic, this translucid ice bucket is lightweight and easy to handle. This ice bucket is designed to carry one bottle of wine and ice to keep it chilled for serving. This ice bucket is also designed with built-in handles and a small groove along one side of the bucket to allow the neck of your wine bottle to rest safely while being transported.